Easter is only one week away! If you still need some last minute items to fill those baskets, here are two affordable DVDs for that special little boy or girl. Neither of these DVDs are mainstream, so they won't be just more of the same. Also, these DVDs will interest grade school-aged children who can be difficult to buy for sometimes. 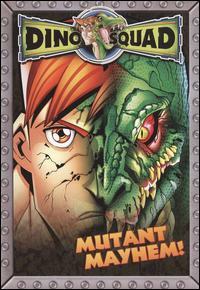 The DVD Dino Squad: Mutant Mayhem was my 6yr old son's first experience with this show, which had aired for two years on television. He actually did not want to watch this DVD after seeing the cover because he thought it looked scary. I told him that I would stop the DVD if he found it to be too frightening, so he decided to give it a go. It turned out that this DVD was right up his alley. It was about teenagers who turned into dinosaurs in order to capture and revert mutant dinosaurs back into their original animal forms to the dismay of the villain Veloci who was attempting to create a mutant army. When I first found out that the main characters were seventeen, I was concerned that the show would not be appropriate for a 6yr old. After watching Dino Squad with my son, I realized that there is nothing about the three episodes on this 66-minute DVD that was inappropriate for a child my son's age. I think this DVD would be perfect for children ages 6 to 10. The next one is from a dance DVD series my children are already familiar with . Last fall, I introduced them to Prima Princessa Presents: The Nutcracker. 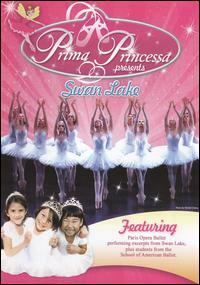 Both of our twins (a boy and a girl) enjoyed that DVD very much, so they were happy to oblige when I invited them to watch Prima Princessa Presents: Swan Lake with me. This DVD intermingles clips from the Paris Opera Ballet's performance of Swan Lake with mini dance lessons demonstrated by the School of American Ballet. Narrated by the animated fairy Prima Princessa, your child will learn basic ballet moves, such as the pirouette, jete, and pas de chat, right along with the adorable Prima Princessa ballerinas. Just as with the last one, the twins just enjoyed dancing around with the DVD playing in the background. Once in awhile they would stop to see what ballet steps were being demonstrated and then would attempt to mimic them. My 6yr old son watched this DVD along with us. He did not dance, but he did pay attention to the performance by the Paris Opera Ballet and tried to follow the story of Swan Lake as acted out by the dancers. Although preschoolers enjoy the Prima Princessa series, I think it would interest children 6 years and older the most as far as acting as a stepping stone towards taking ballet classes. Currently you can find Dino Squad DVDs and Prima Princessa DVDs at NCircleEntertainment.com for just $5.99 each. You can also look for both at other select retailers of children's DVDs. Thank you to NCircle Entertainment for sending us these sample DVDs free of charge to base this review upon.